Northeast Catholic College is pleased to continue its Arts of the Beautiful Program with more concerts and museum trips spring semester. During the fall semester, students had the opportunity to attend Shakespeare’s Julius Caesar, Beethoven’s Ninth Symphony, Mozart’s Requiem, and Handel’s Messiah. 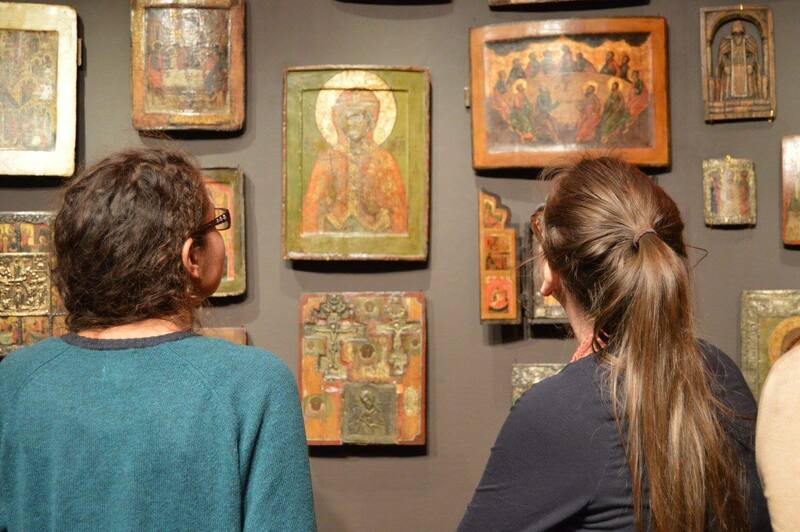 In addition to those performances, students also visited the Museum of Russian Icons in Clinton, Massachusetts. This semester NCC students can look forward to attending a live performance of Shakespeare’s Richard III and Much Ado About Nothing in Somerville, Massachusetts, hear the American chamber orchestra, Apollo’s Fire, perform A Night at Bach’s Coffeehouse in Boston, Massachusetts, and hear a live performance of Beethoven’s Fidelio. Students will also have the opportunity to visit the Isabella Gardner Museum and the Museum of Fine Arts in Boston. Transportation to all of these events is provided for free to NCC students. Participants in the Arts of the Beautiful program will also have the opportunity to study chant, polyphony, and sacred hymnody in the collegiate choir as well as aesthetics and the philosophy of art in the classroom. For more information on Northeast Catholic College’s Arts of the Beautiful Program, please contact the admissions office at 603-456-2656 or [email protected].